This is a fun and creative project to do with older school-age children, as a gift to share with co-workers, or families. Use caution when handling the glue-gun, and keep it out of reach of young children. 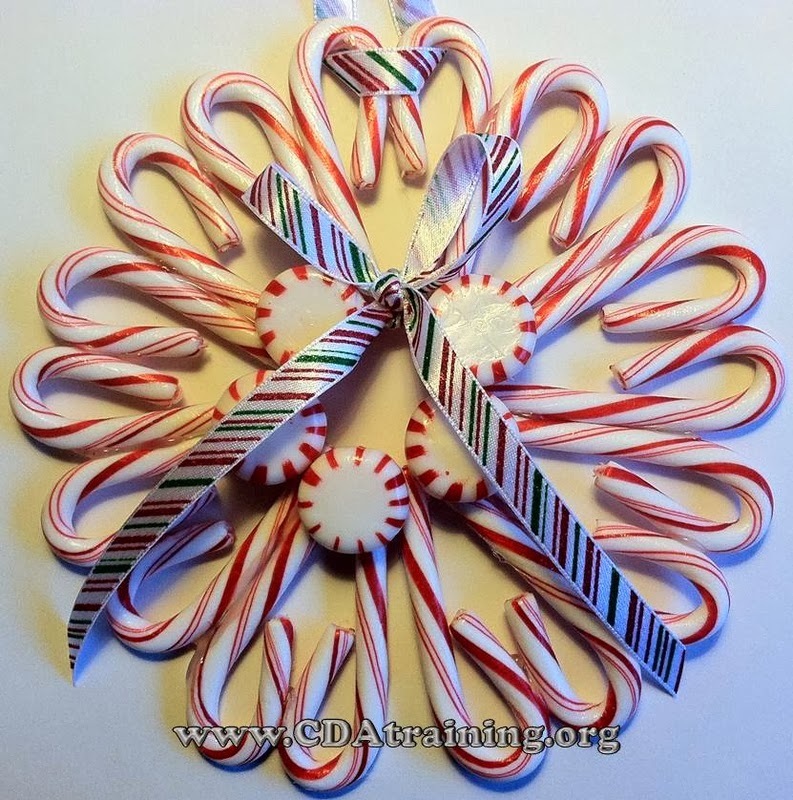 Supplies need; Candy canes (we used 18 small, but large will work too, just be sure to lay out your candy canes to figure out how many you will need), "starlight mints", festive ribbon, glue gun or modgepodge. Directions; Glue your candy canes into heart shapes, as seen below, with a little glue at the crook and a little at the base where the ends meet. Once you have all the heart shapes you will need to create a circle, start gluing them together at the sides. When you have completed the entire circle, allow it to dry. Once dry, reinforce the back with extra glue. After the reinforcement is dry, turn the wreath back over and glue the "starlight mints" to the base of each of your heart shapes, or as many as your inner area will allow. Take about 10" of ribbon and tie it into a bow. Glue the bow where you think it would look best for your wreath. Finally take another 4" inches of ribbon and tie it into a loop. Slip the loop over two of the crooks in your wreath and you are finished. 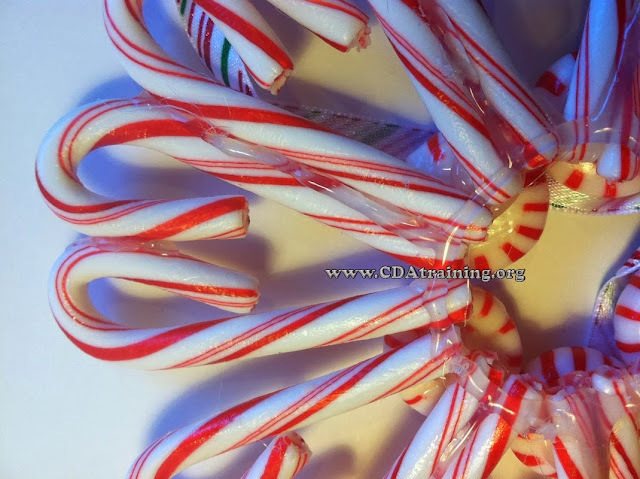 *If you remove your candy canes from their plastic coating, you may want to spray them with shellac when you are finished.